don’t have your email; No. 2, the info was in the e-newsletter. 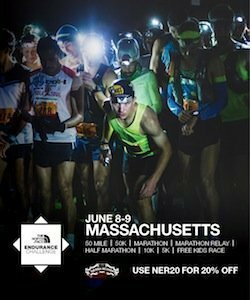 athletic sportswear giant New Balance signed on as the the multi-year sponsor of the NER Pub Series, and we’re damn glad to have them! there’s a pair of New Balance running shoes in the offing. overall 50 places for men and women are based on cross country scoring. & Seniors (50-59), 8 deep for Vets (60-69) and 5 deep for 70+. the top 40-49 runner in a race, you get 10 points in your age division. you’re 10th Master, you get one point. Implemented in 2014: The Octogenarian (80+) division, 3-deep for men. warehouse and waiting for delivery.